teammates to a fun day of baseball at Petco Park! 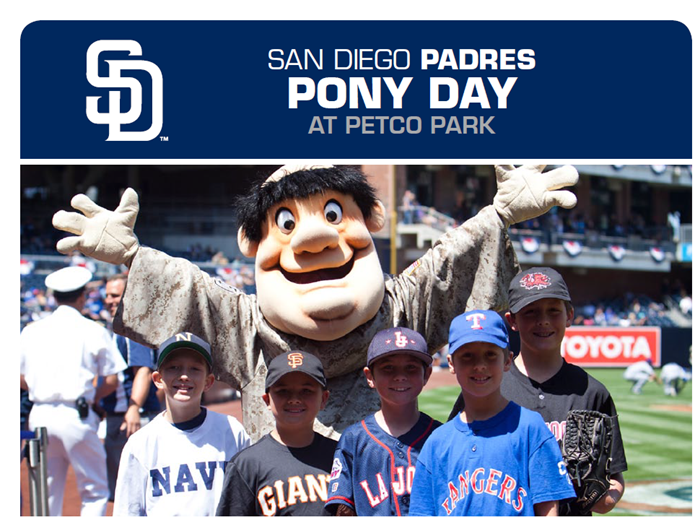 All players can participate in a Pre-Game Parade on the field at Petco Park! All Players, Coaches, Family, and Friends are welcome! 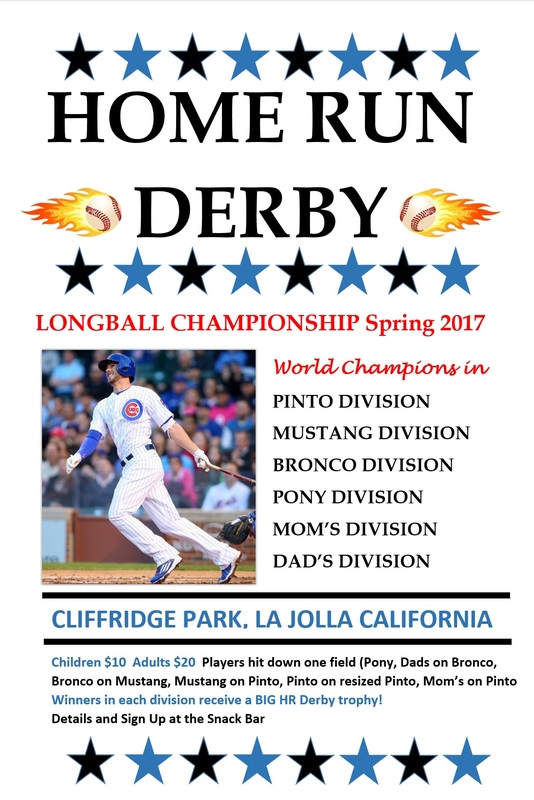 Tickets are located in the "La Jolla Section" Upper Infield Reserved behind home plate. The Padres are offering a special discount ticket price of just $15 for our league! A portion of each ticket goes back to LJYB! We look forward to seeing you at the Park to watch some great baseball! The Padres opponent will be the San Francisco Giants, one of the favorites to win it all in 2017. Order tickets online on the LJYB.org website starting March 9th. 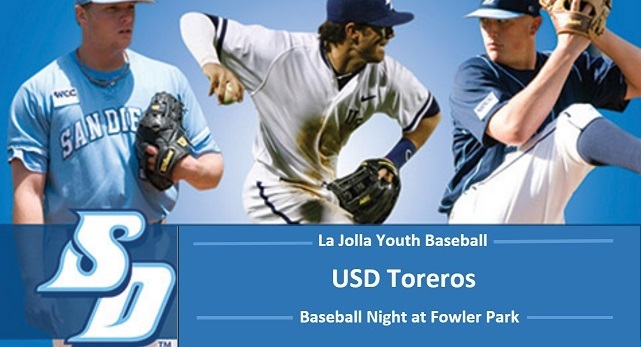 Join us April 21st at 6:00 PM as La Jolla Youth Baseball, Tecolote Youth Baseball and the USD Toreros team up for a great night of baseball at Fowler Park on the USD Campus. There will be a great on field event before the game, an in game auction and a special first pitch ceremony. Details will be posted shortly!